Please join us on 16 August 2011, Tuesday, at 6 pm for the artist talk of SORRY FOR THE INCONVENIENCE, the solo exhibition of Manny Montelibano, ongoing at Gallery NOVA. Montelibano will be discussing his current exhibition and selected past works with the audience and End Frame 3 curator Clarissa Chikiamco. SORRY FOR THE INCONVENIENCE is a project under End Frame Video Art Project 3: Present, a series of solo exhibitions of artists presenting new video work from 2011 to 2012. 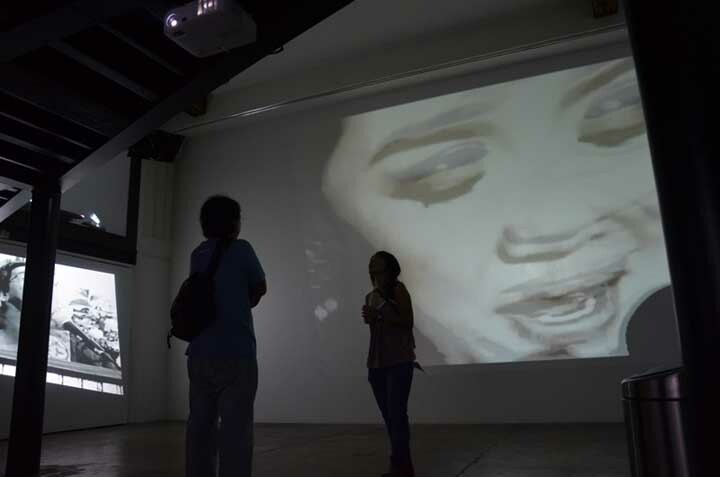 Adivsory: For those who want to see the exhibition, please note that the video installation equipment will be turned off during the artist talk. RSVP for the artist talk with Gallery NOVA by contacting Astrid at (632) 392-7797 or +63922-8006925. Gallery NOVA, located at Warehouse 12A, La Fuerza Compound, 2241 Don Chino Roces Avenue, Makati Metro Manila, is open Monday to Saturday from 11:00 am to 7:00 pm. The exhibition runs till 9 September 2011. For inquiries on Visual Pond projects and End Frame 3, call Rica Estrada at +63917-8170198 or email visualpond@gmail.com with 'End Frame 3' as the subject line.